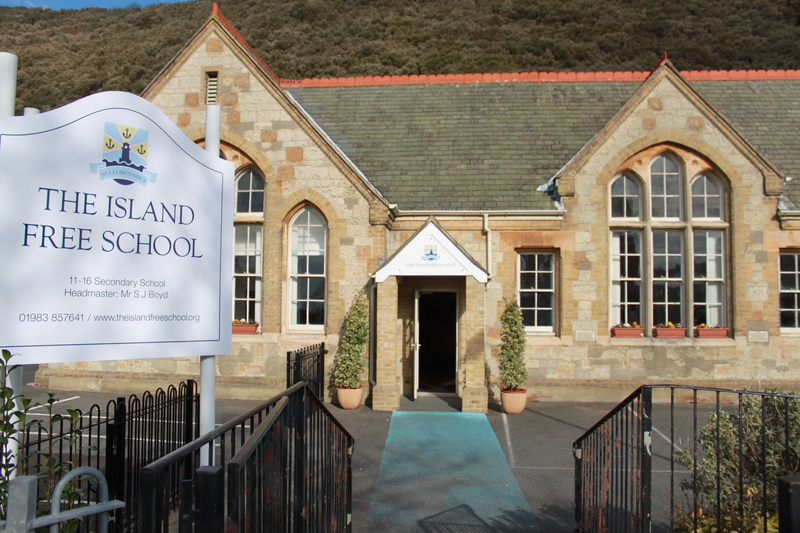 On Saturday 15 March 2014, The Island Free School invited prospective students and their families to a meeting at the new school site on Leeson Road in Ventnor. 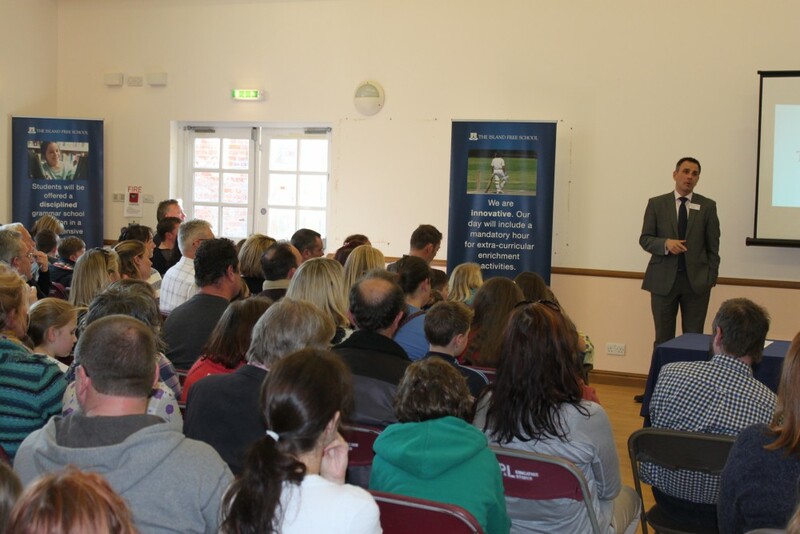 The school is oversubscribed for Year 7 places starting in September 2014 – and the 125 children with offers were invited with their families to look around, hear a presentation from the Headmaster, and find out more about daily life at their new school. Mr Boyd was supported by the Governors, Group Members and the newly appointed Head of Year 7. 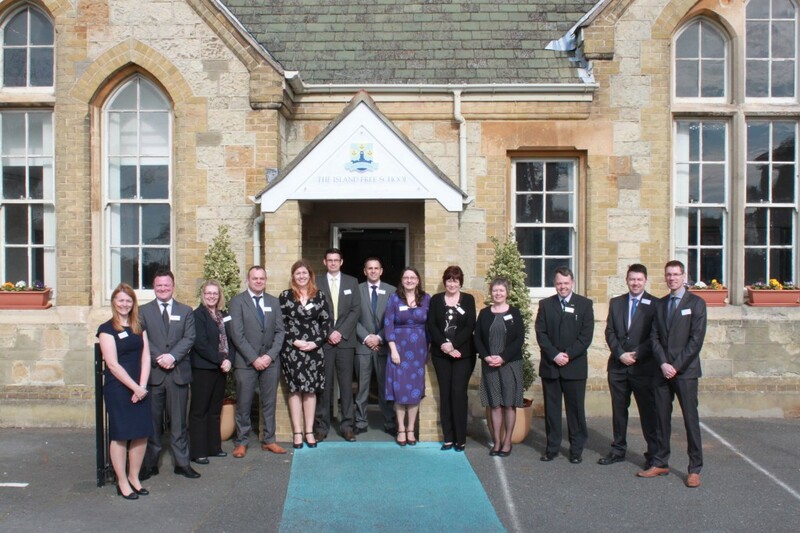 They welcomed students and the families to the school’s temporary site – an historic stone building which nestles at the base of St Boniface Down, an area of outstanding natural beauty. 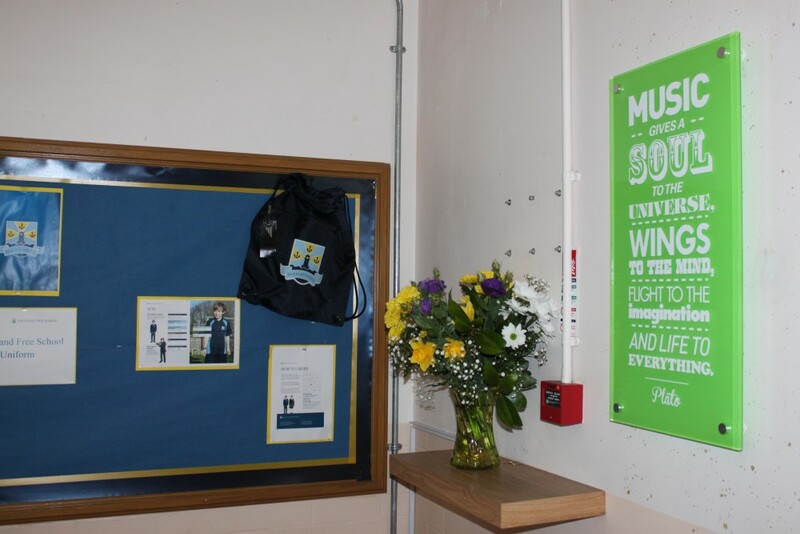 The school has had a facelift since the former occupants, St Francis Primary, moved to their new site at upper Ventnor, with smart new contemporary signs outside the building, and Perspex wall decorations inside with inspirational messages. This will be the school’s home for the first year, while a brand new state-of-the-art school is constructed at a nearby site. 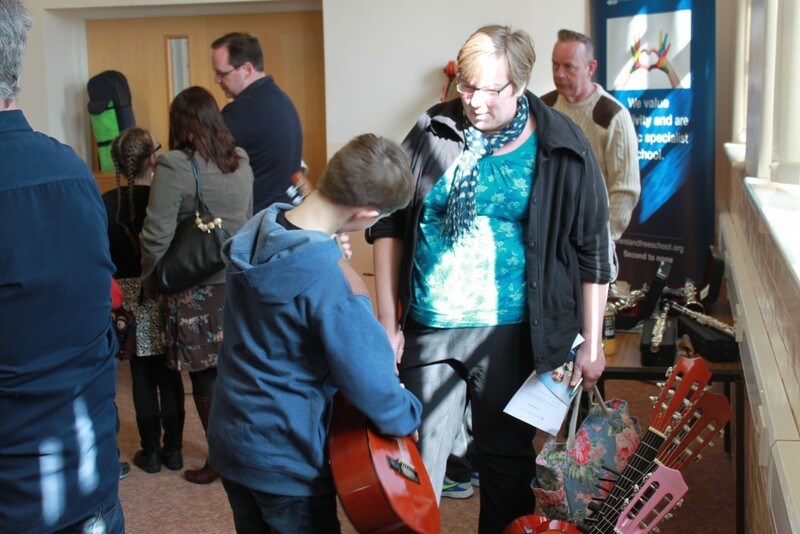 The day was split into two sessions with talks by Mr Boyd at 11am and 2pm. 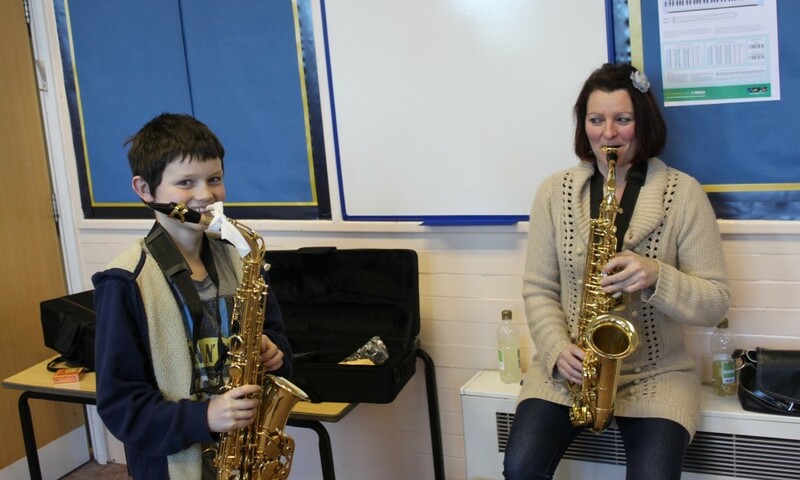 Children had the opportunity to try out an exciting range of musical instruments including a double bass and trombone. 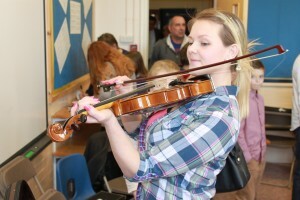 This is a music specialist school, and every child will have the opportunity to learn an instrument. 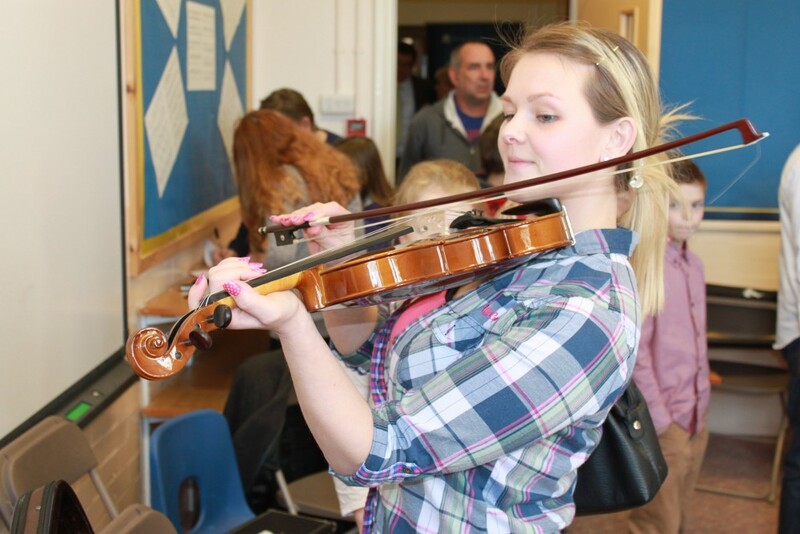 We have also offered places to 12 exceptional musical scholars who will receive free tuition and act as musical ambassadors for the school. 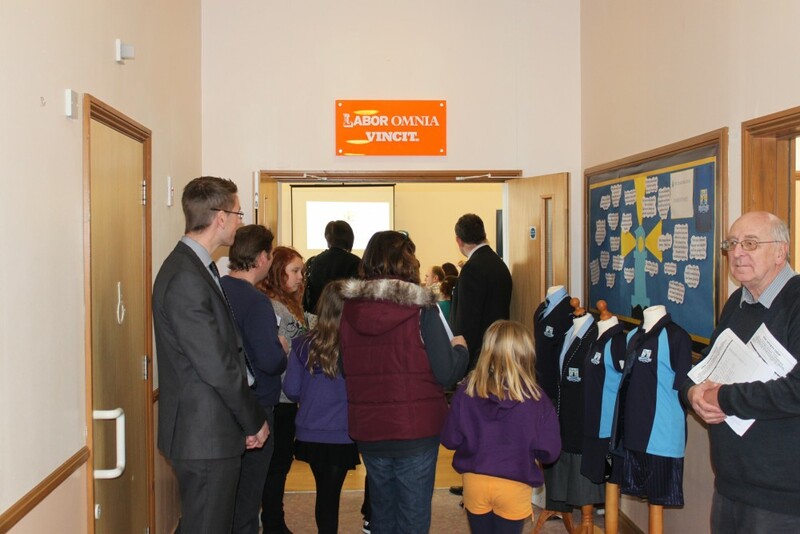 Parents were able to chat to a local company who are organising our uniform – you can find out more about our smart new uniform by clicking here - and there were free refreshments for everyone. The Island Free School’s team took the opportunity to consult with parents on issues including school meals and how to organise term dates (many were in favour of shorter summer holidays and longer breaks at Christmas and Easter). Parents also had a chance to discuss becoming Governors and joining the Parent Teacher Association.